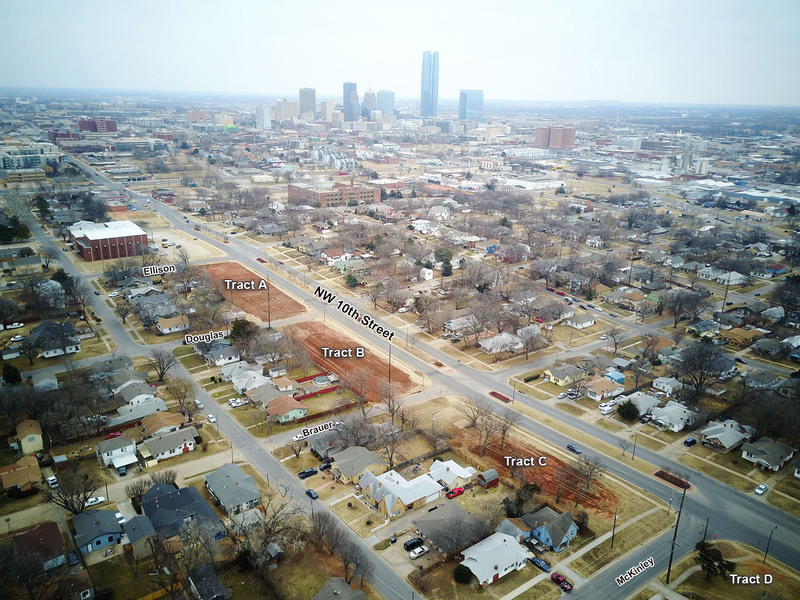 When the City of Oklahoma City widened NW 10th between Western and Penn, it bought a wide swath of homes along the north side of the street and then was left with remaining land that was odd and relatively shallow. The city issued an RFP in 2015 with development restrictions and certain design constraints. 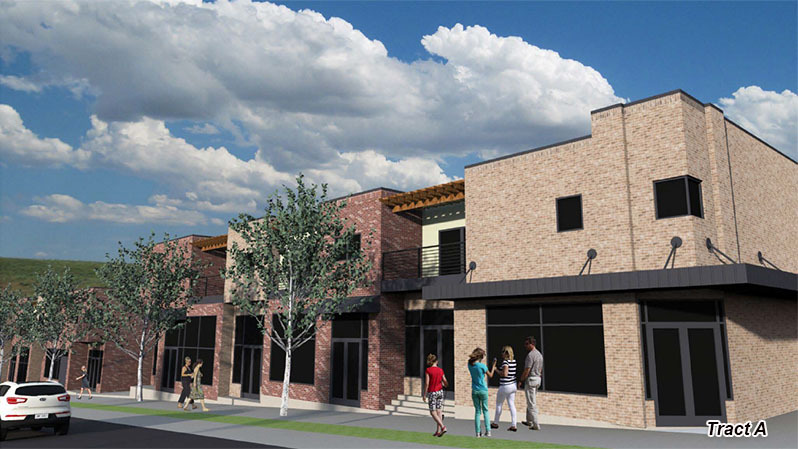 One acceptable bid was received from Dodson Custom Homes (doing business as Venice Properties) proposing a mixed-use project consisting of apartments, condominiums and first-level retail space. Dodson builds in new home communities in Edmond, Yukon, Oakdale and far north Oklahoma City. The company has also renovated older homes on the near northwest and northeast areas. In June of 2017 the city sold the 3 acres on four separate parcels to Dodson for $56,000 and the two parties entered into a redevelopment agreement. The agreement stipulates the property will be developed in two phases. The first, which has just commenced, must be completed by the end of 2018 and involves Tracts A&B, the easternmost parcels of the 4. Tract A will include 12 apartments above 6 retail spaces. Tract B will be 9 for-sale townhomes. The second phase will included another 9 townhouses on Tract C and while plans for Tract D – the largest – are still preliminary, the current plan calls for 24 apartments over 21 retail spaces. The entire development will be two levels. Originally Dodson had proposed 3 stories with elevators but later scaled back. As part of the redevelopment agreement, Dodson has agreed to reserve at least 10% of the total residential units – rented or sold – for the income eligible. The threshold being households that earn no more than 80% of the Area Median Income based on household size. Dirt work has commenced on Tracts A and B. Pricing will be set at a later date. 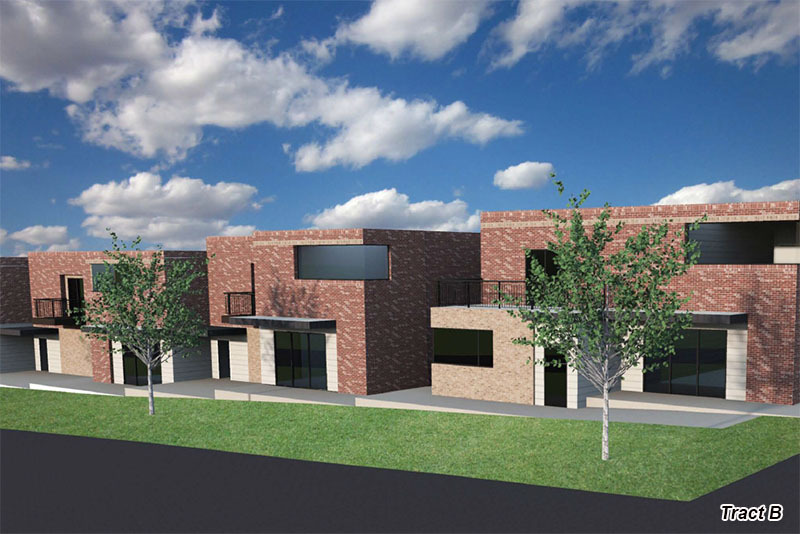 This development is at the southern edge of the Classen 10 Penn neighborhood which is seeing a resurgence with many renovated homes due it's excellent location and popularity of the adjacent Plaza District on NW 16th.